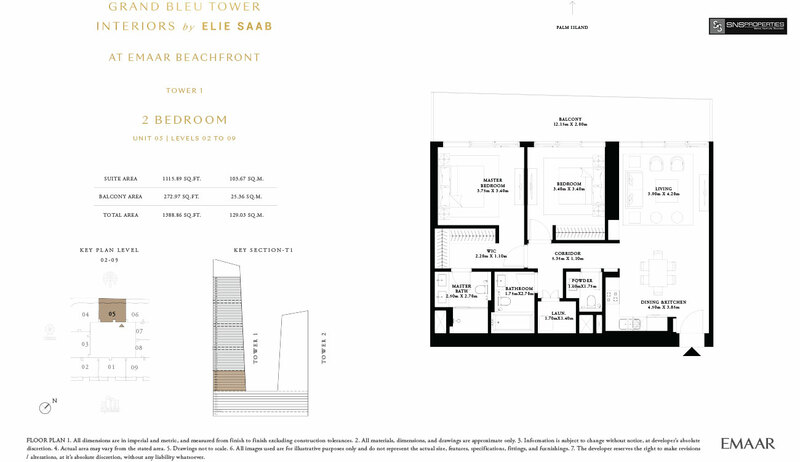 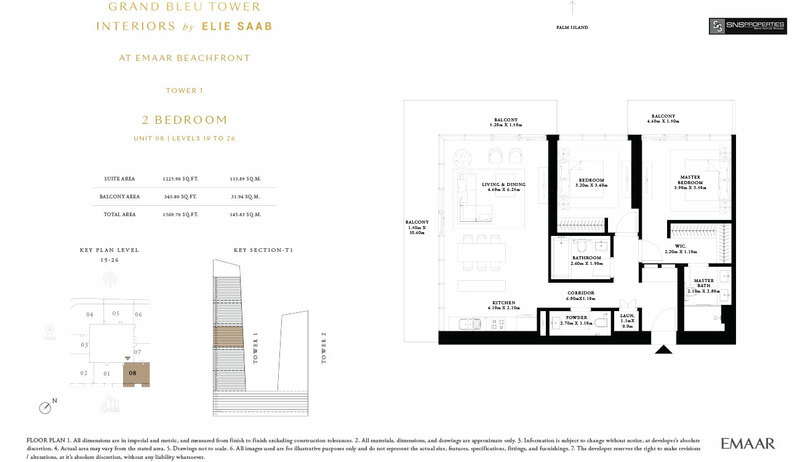 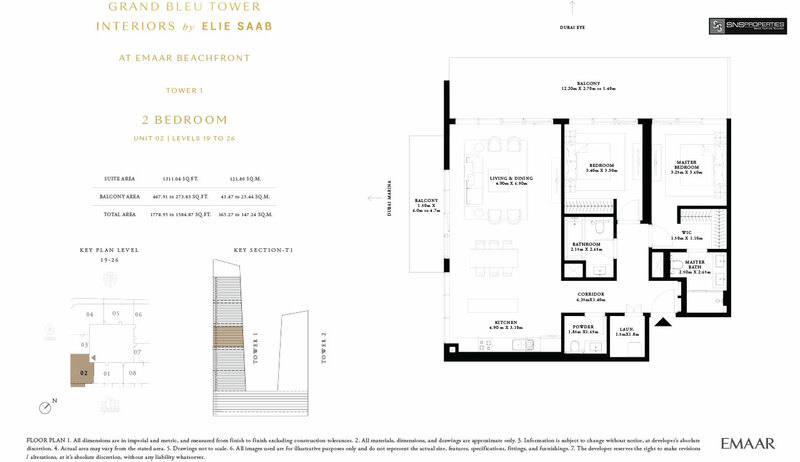 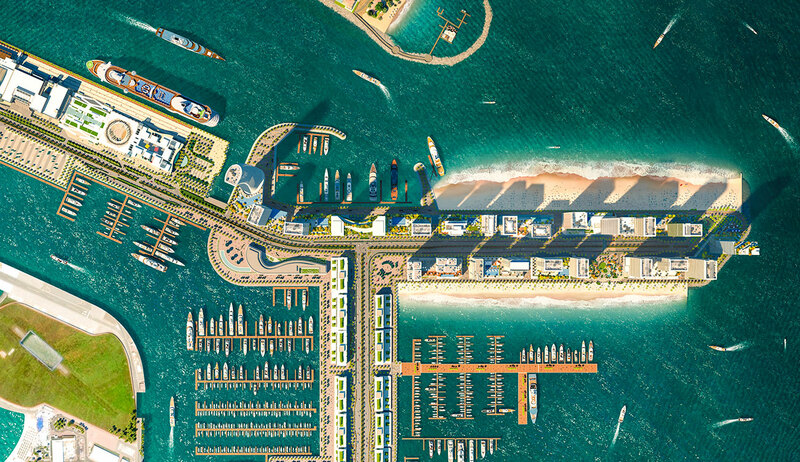 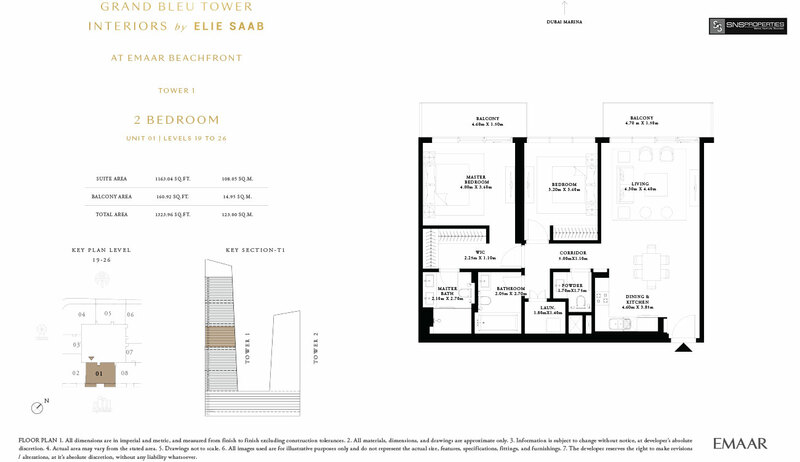 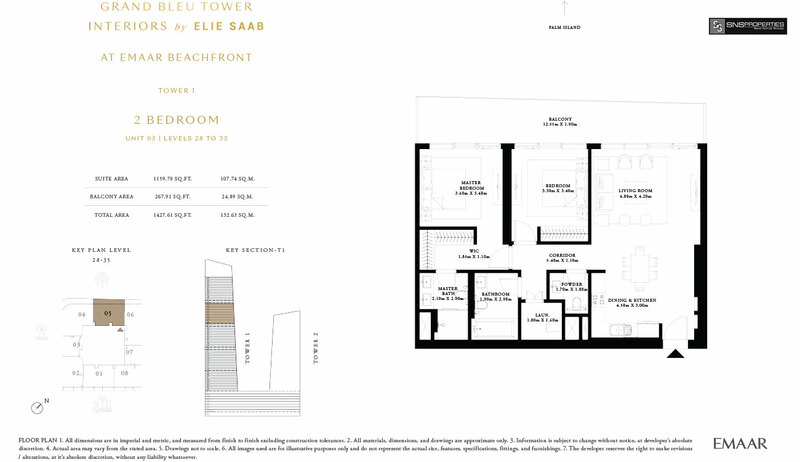 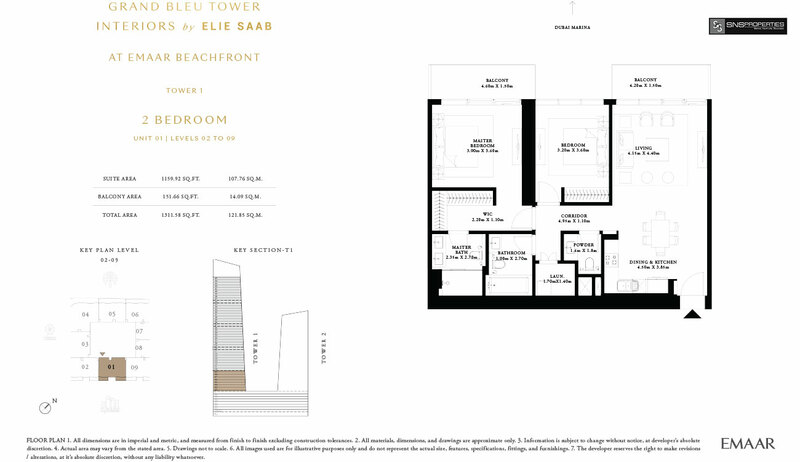 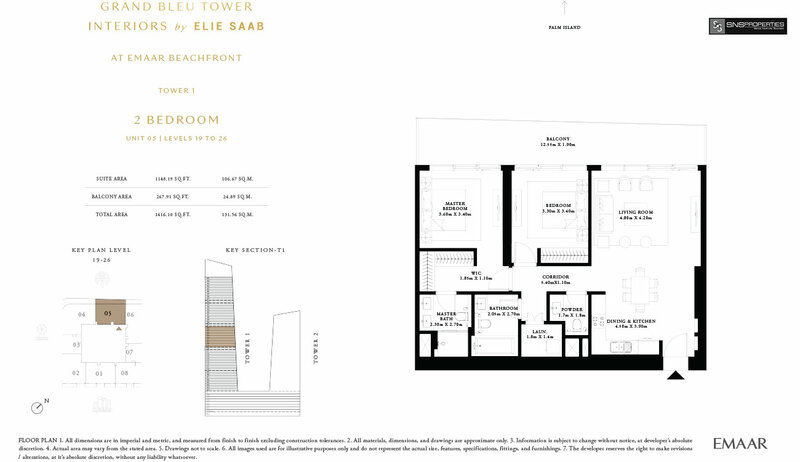 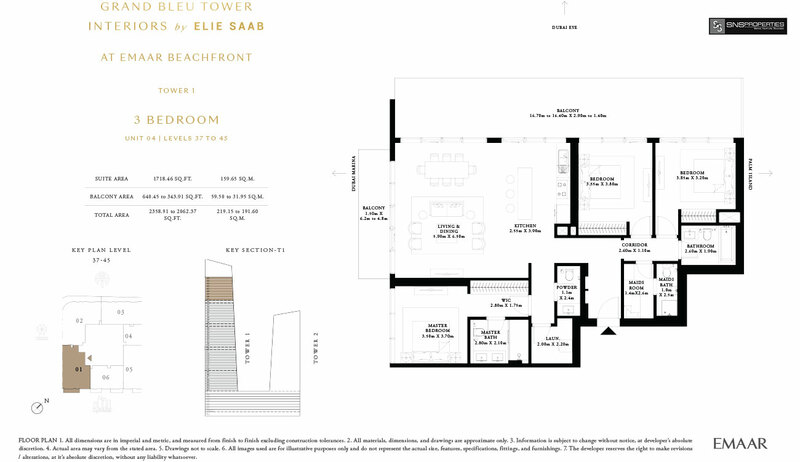 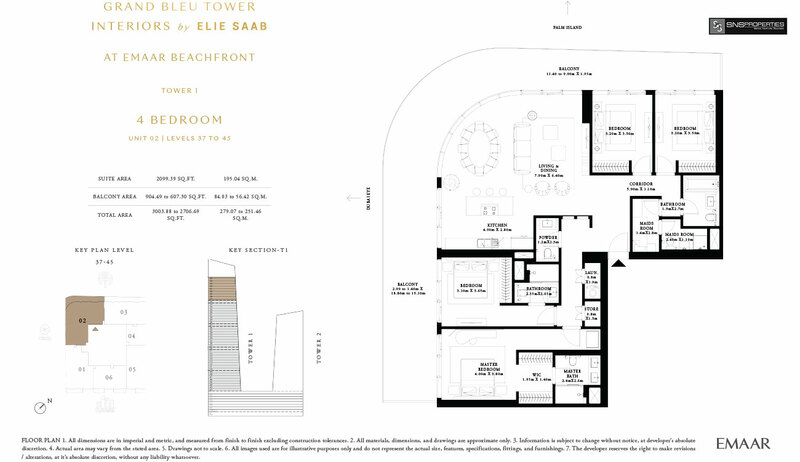 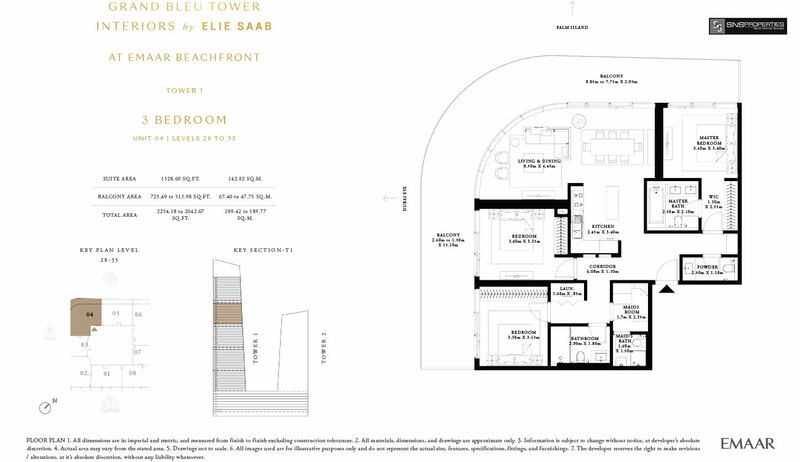 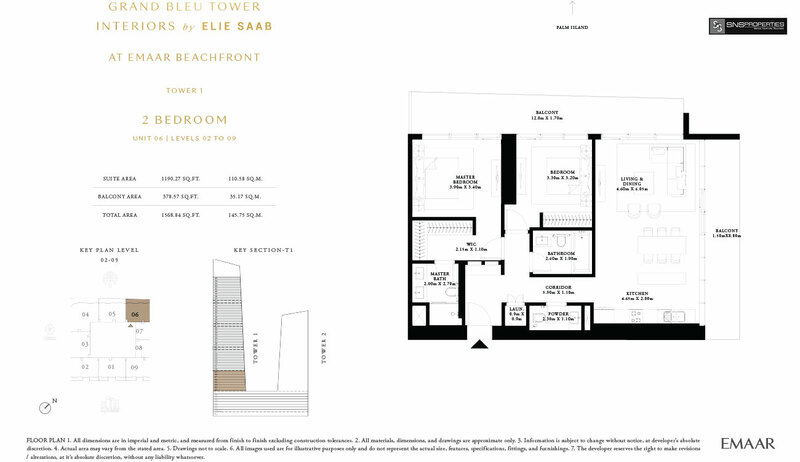 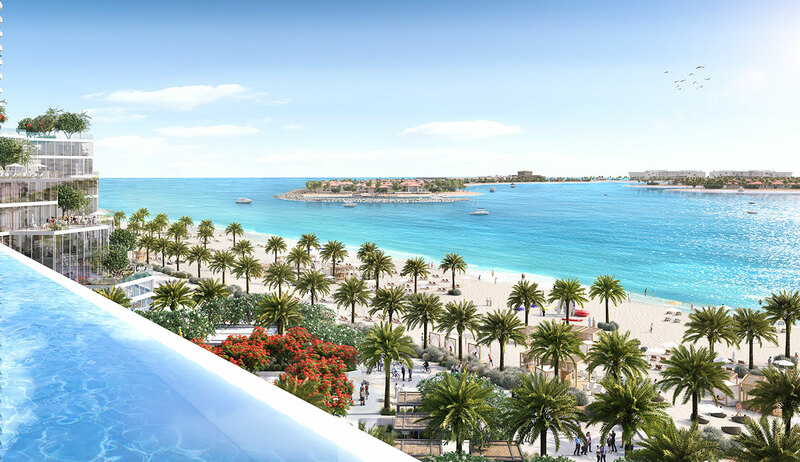 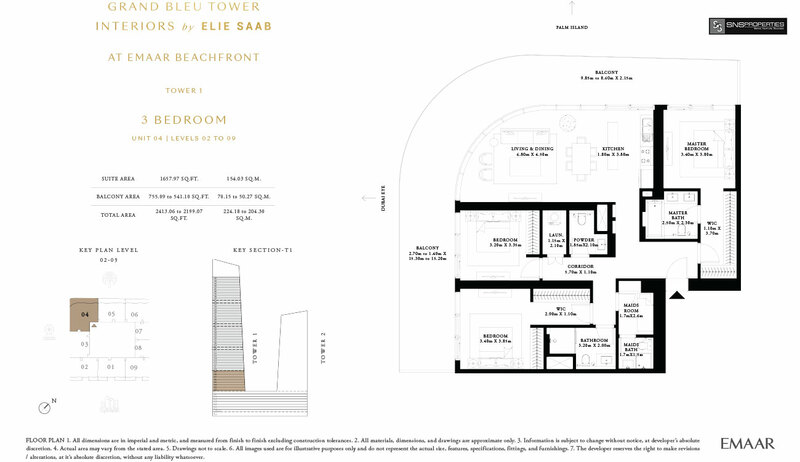 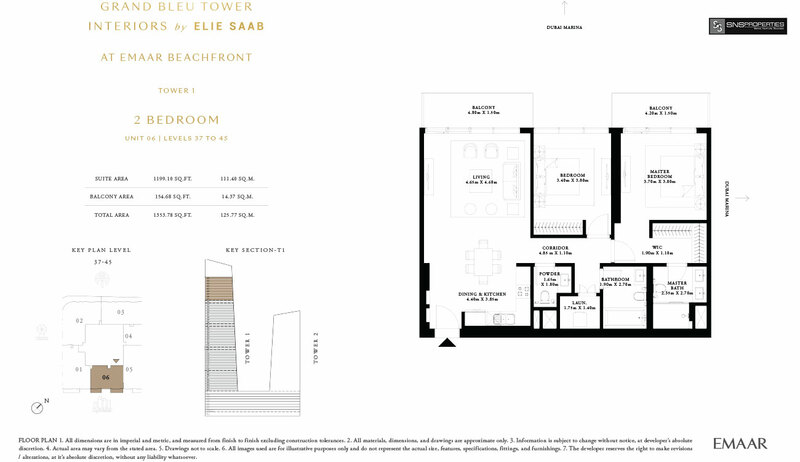 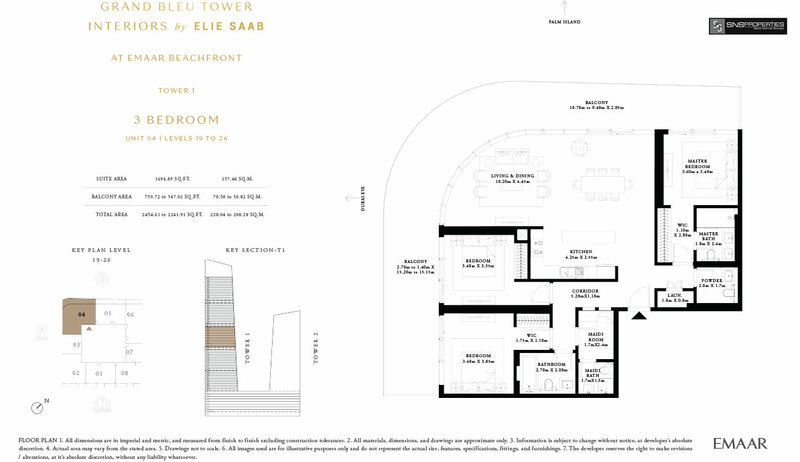 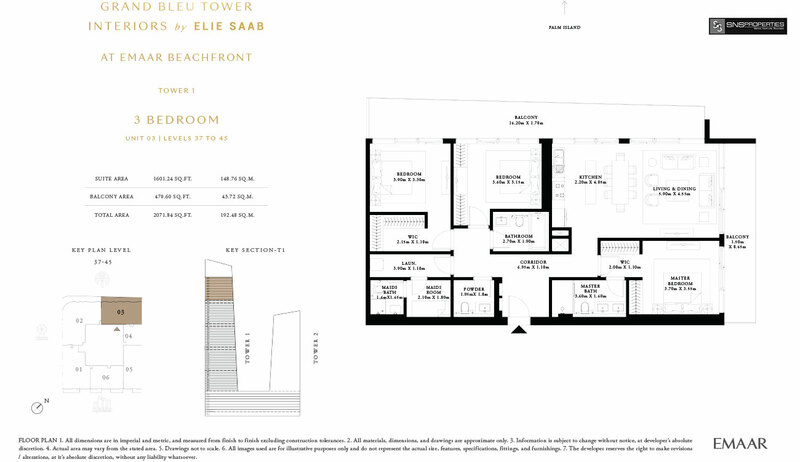 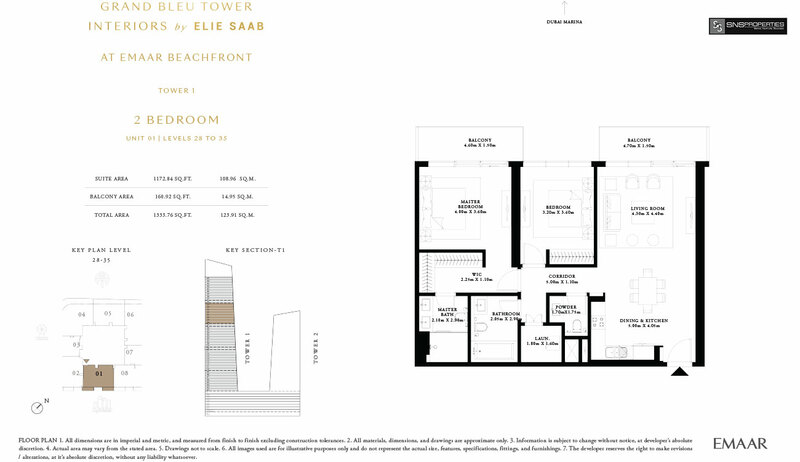 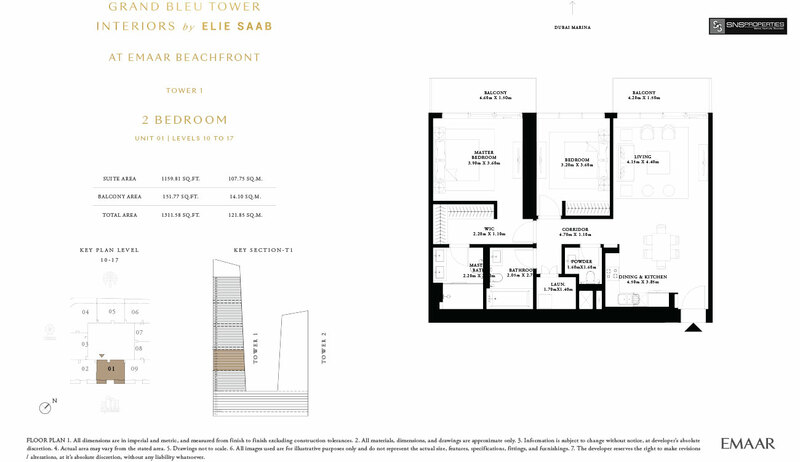 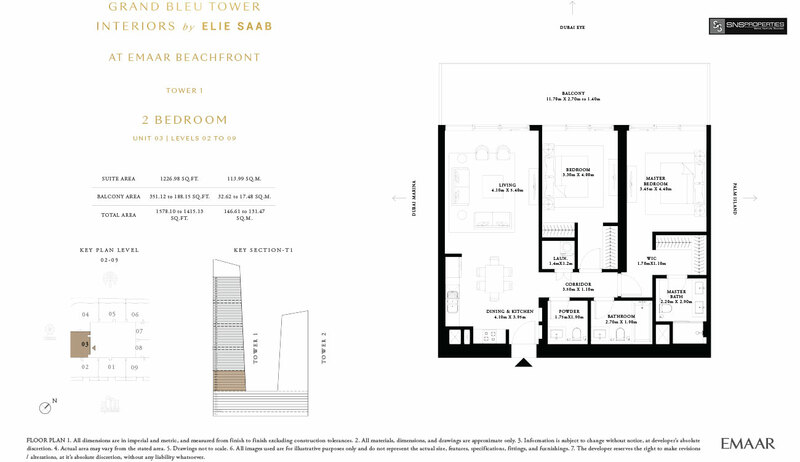 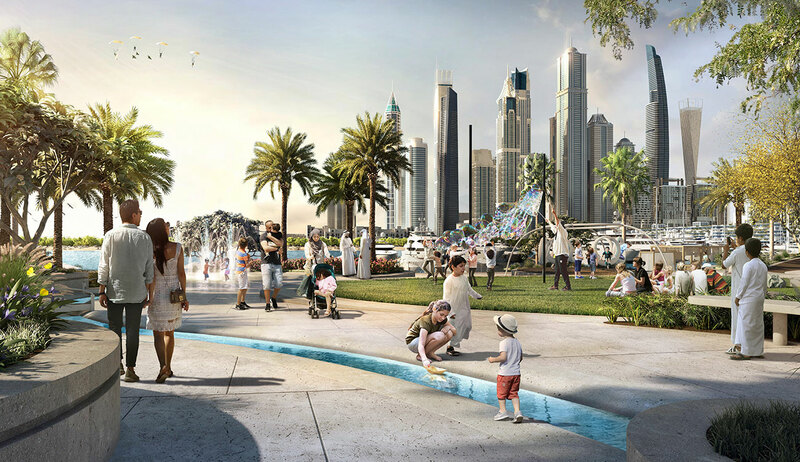 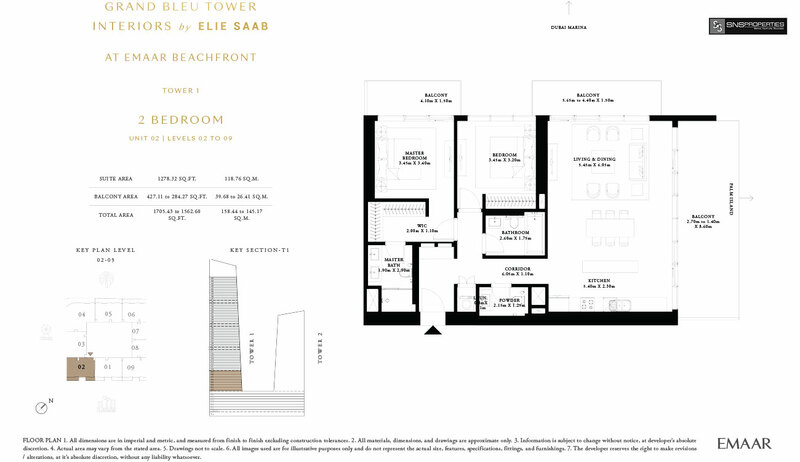 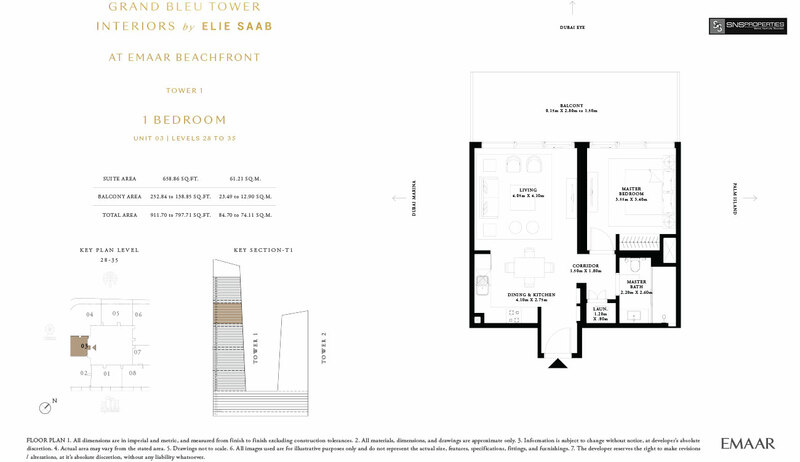 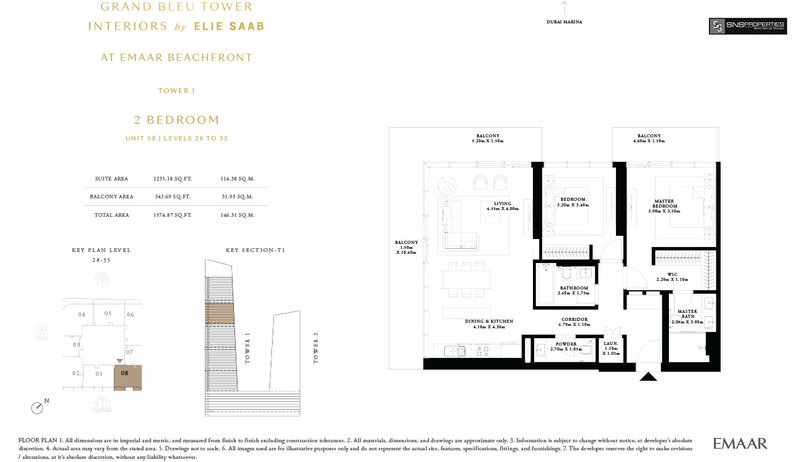 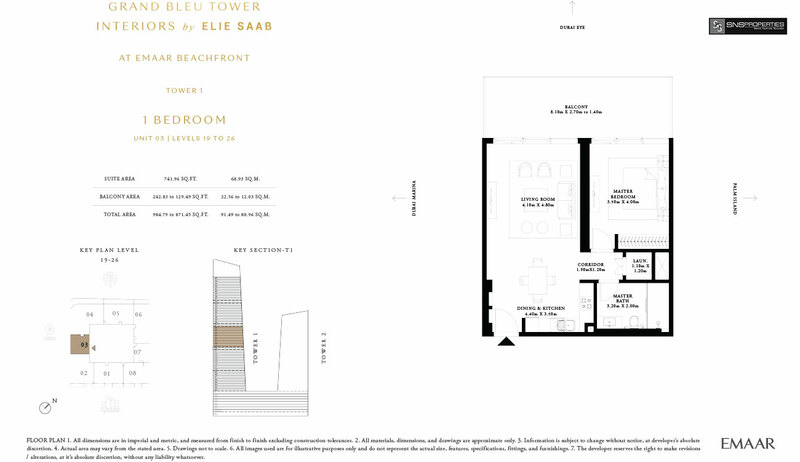 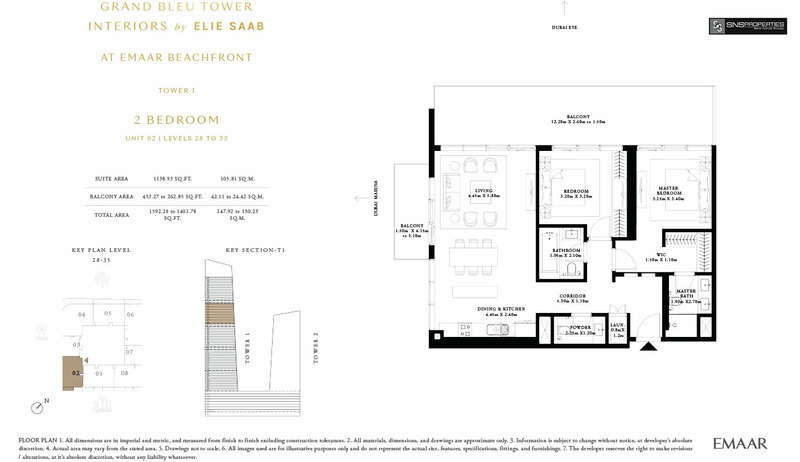 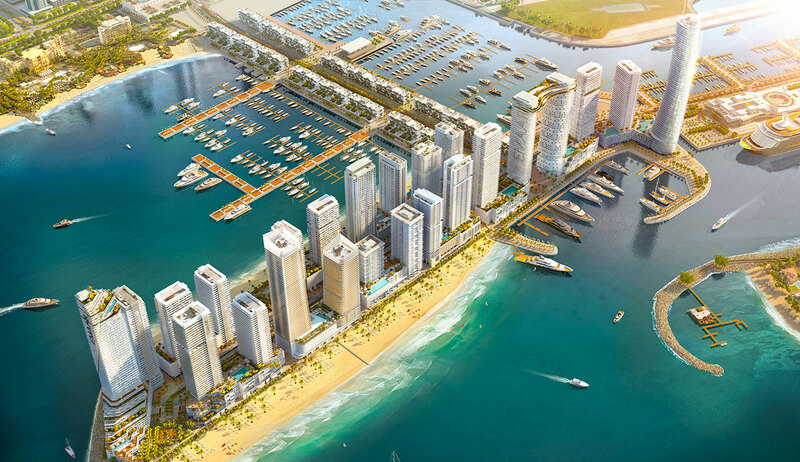 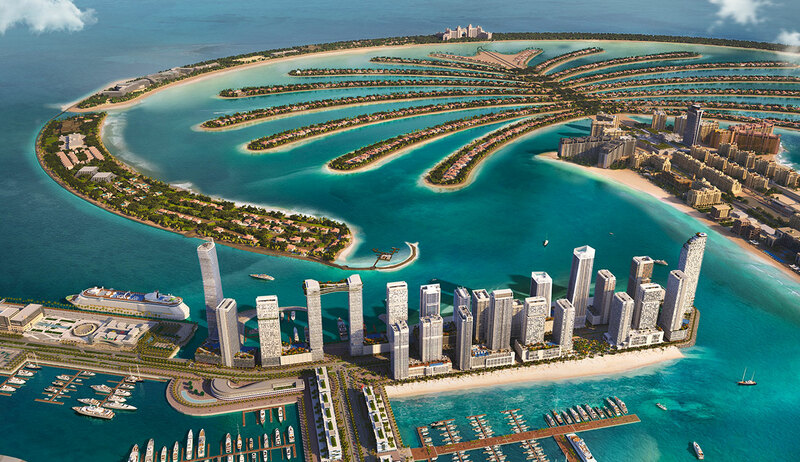 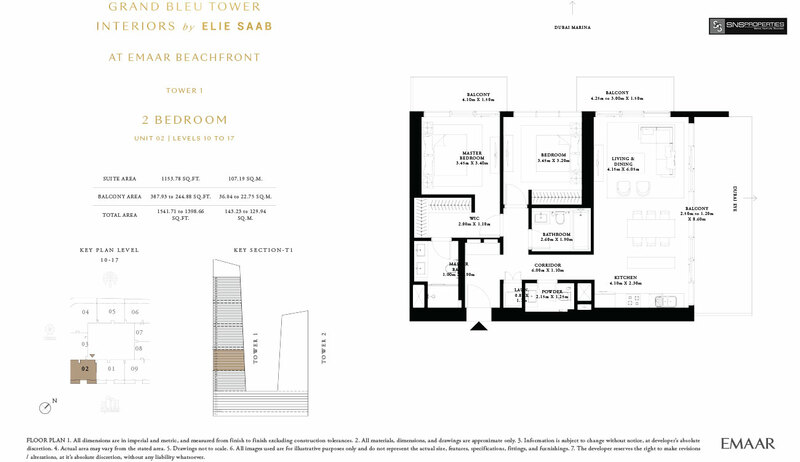 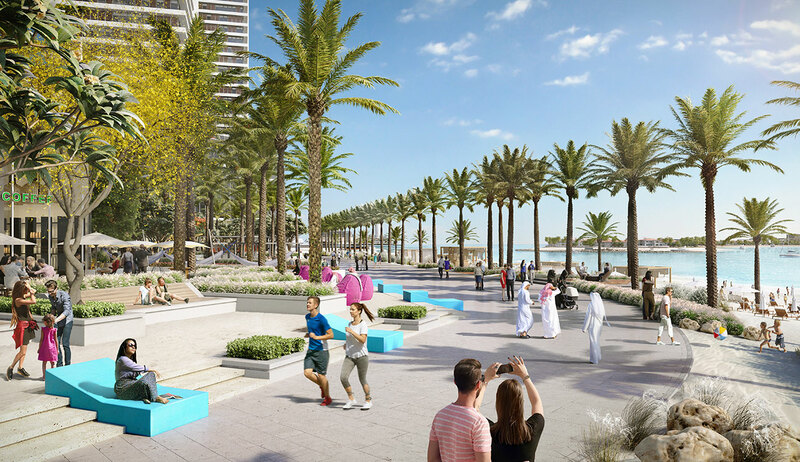 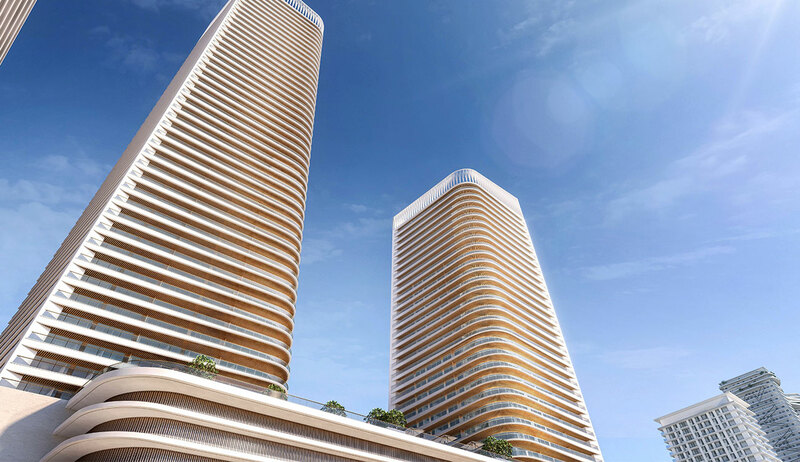 Couturier Elie Saab and Emaar present an exquisite collection of luxury residences. 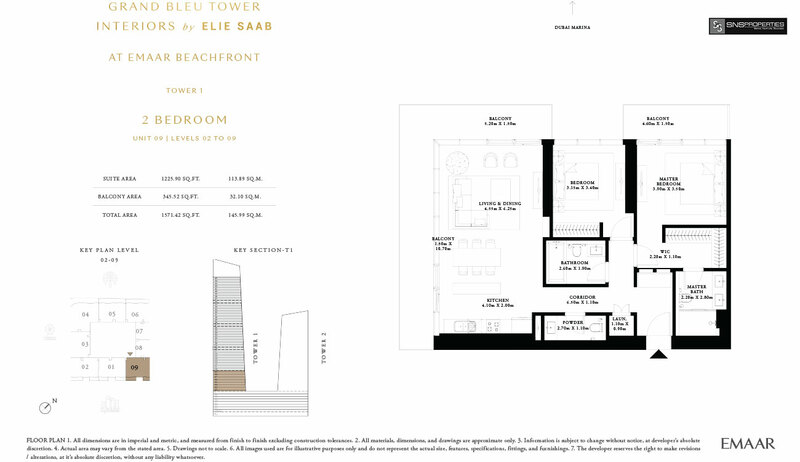 Situated at Dubai’s most spectacular beachfront, GRAND BLEU TOWER is the first ELIE SAAB designer building in the world. 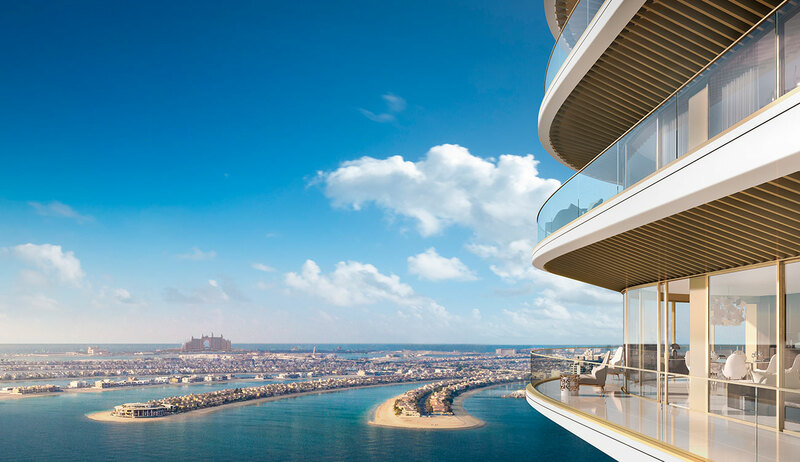 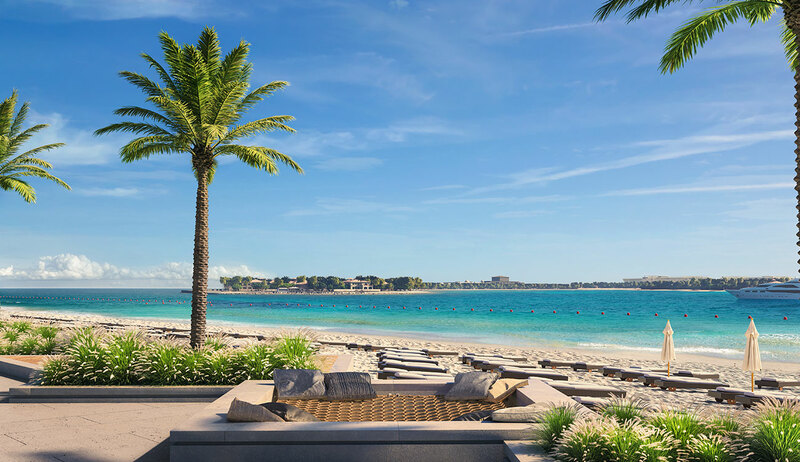 The four-bedroom penthouse offers a first-class luxurious sanctuary with uninterrupted views of the waterfront and Dubai’s spectacular skyline. 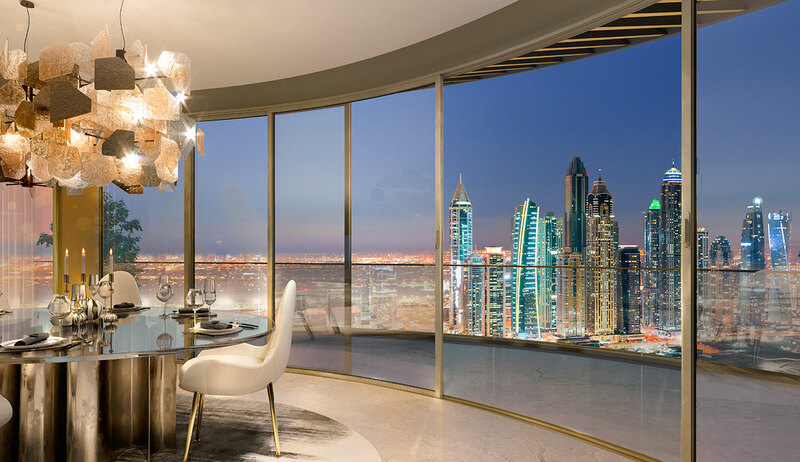 Elegantly designed by ELIE SAAB, the living experience is unmatched, evoking an impeccable sense of quality, splendour and sophistication. 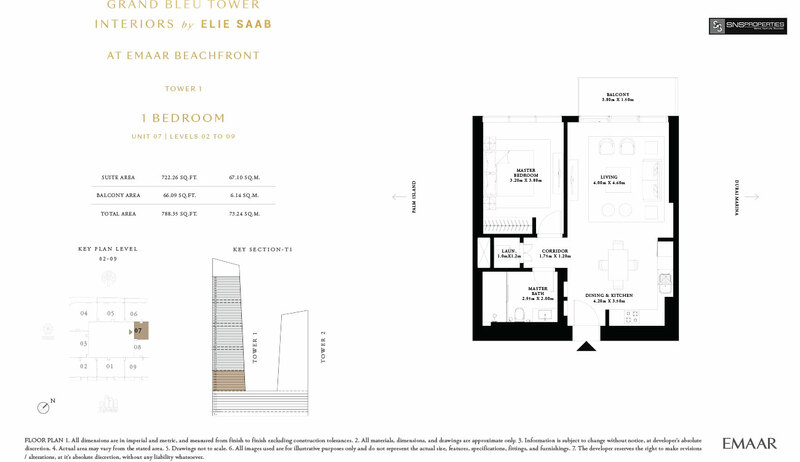 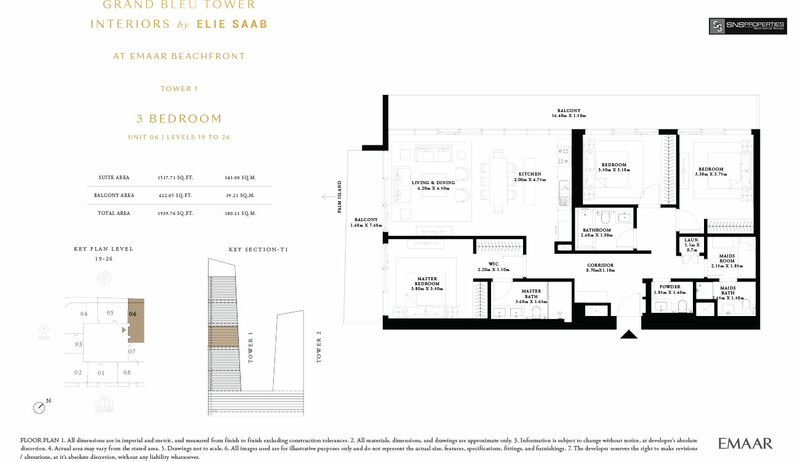 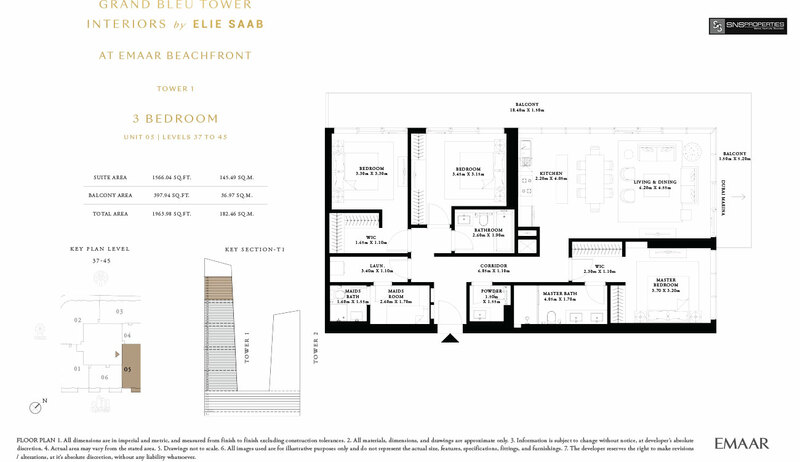 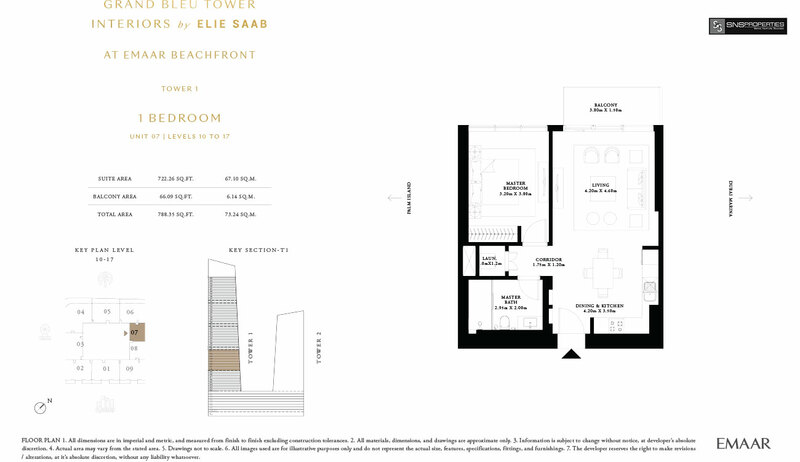 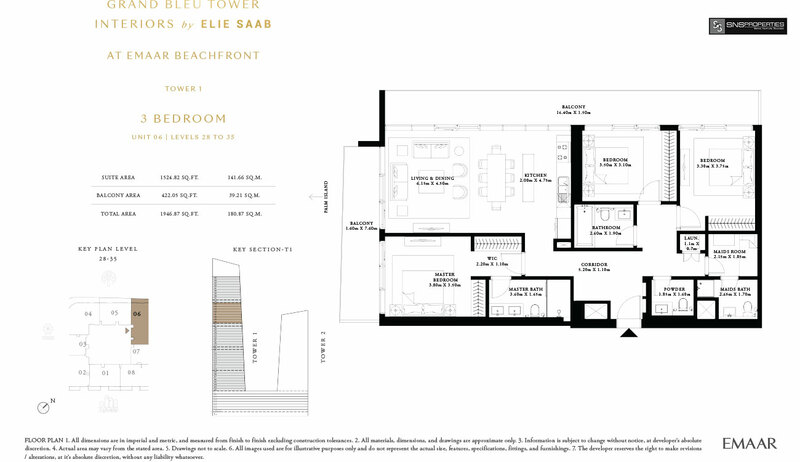 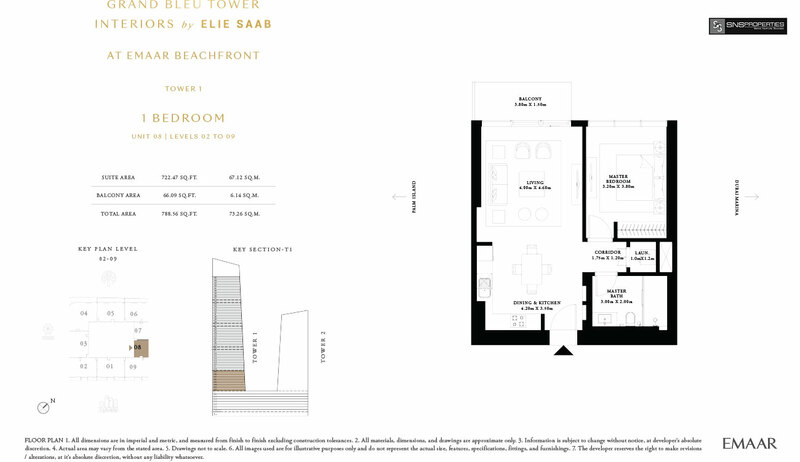 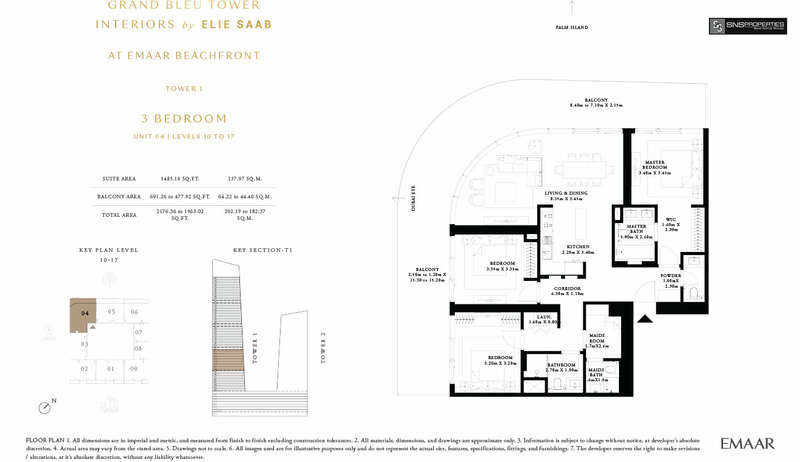 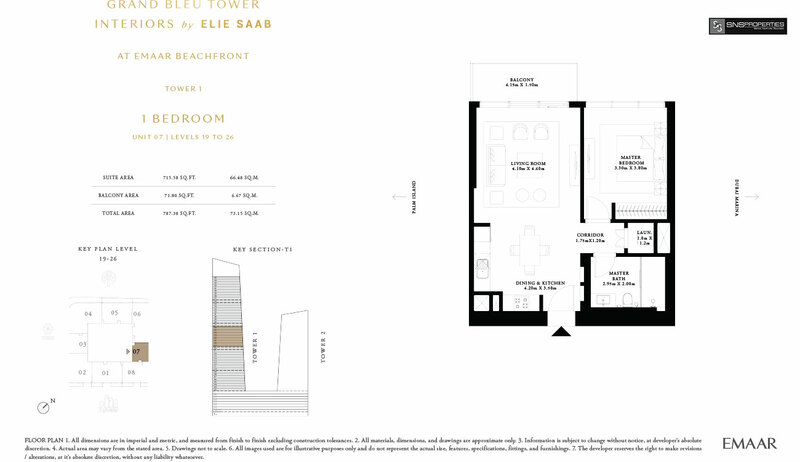 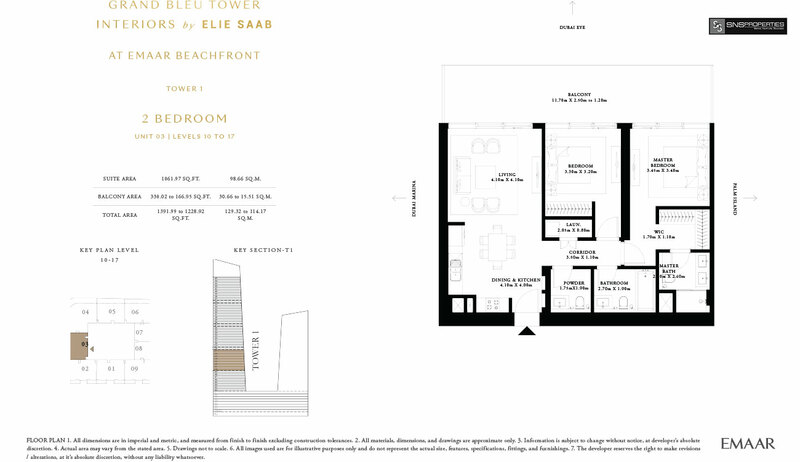 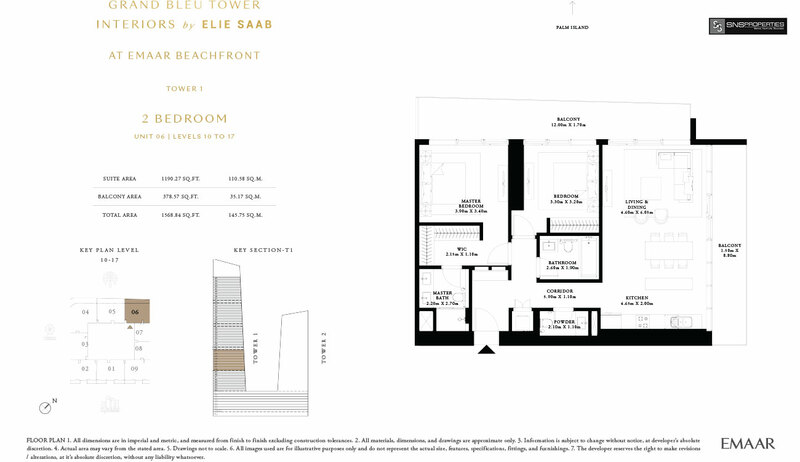 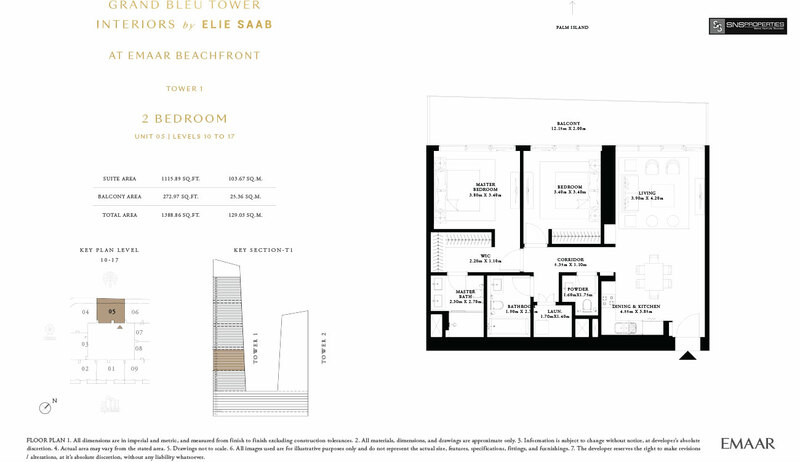 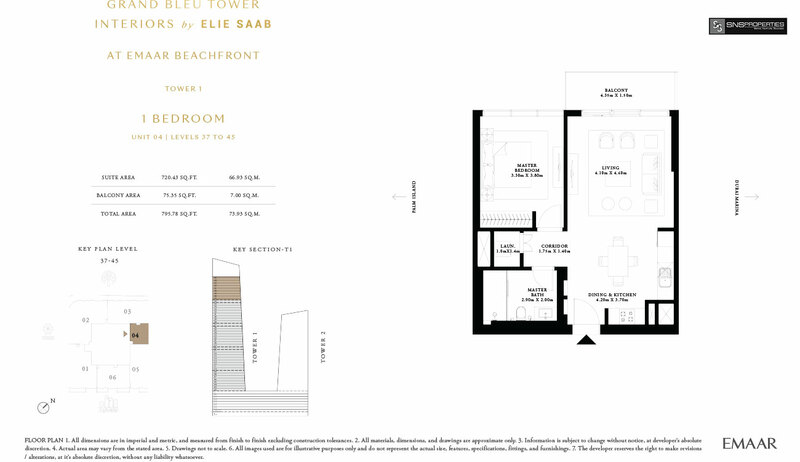 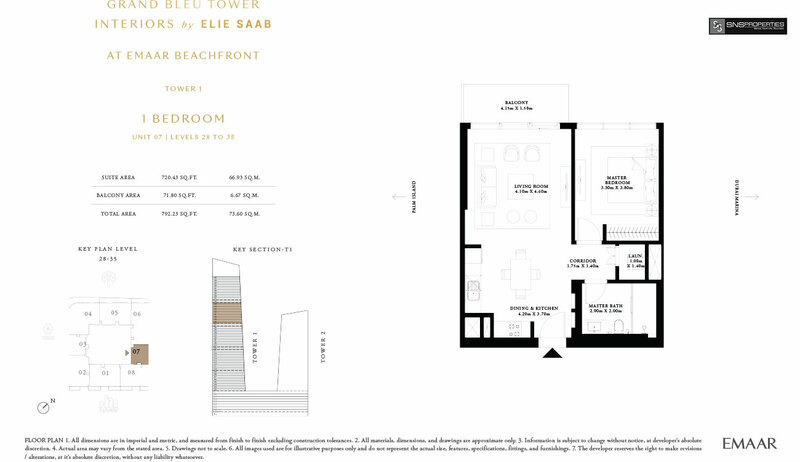 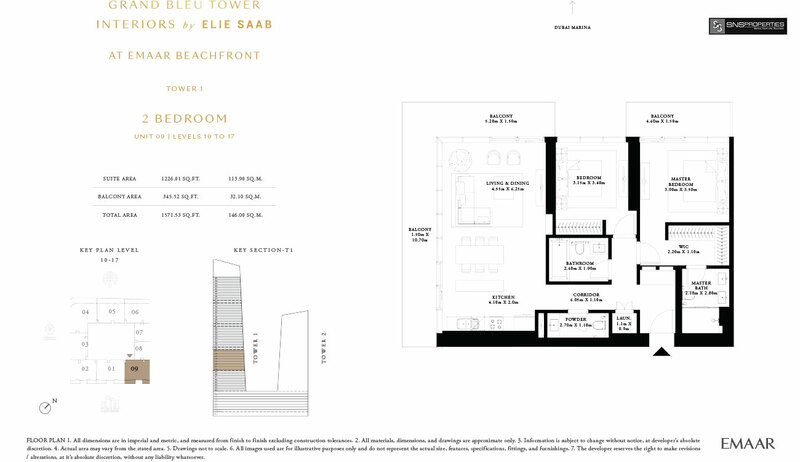 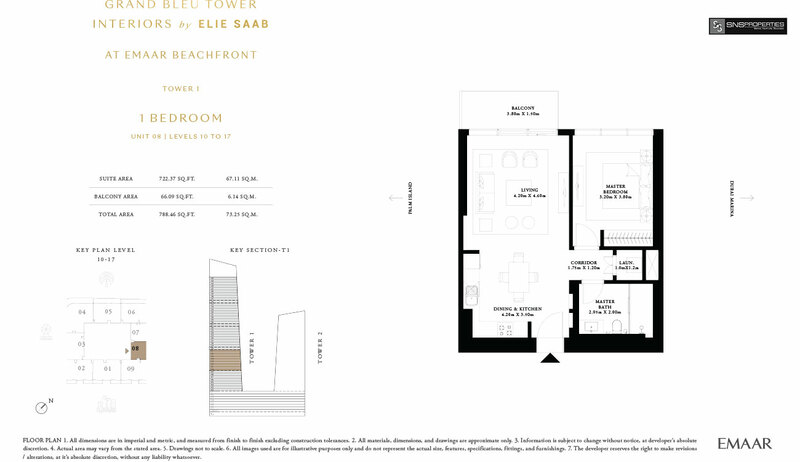 The beautiful collection of one- to four-bedroom residences are designed with the highest specifications. 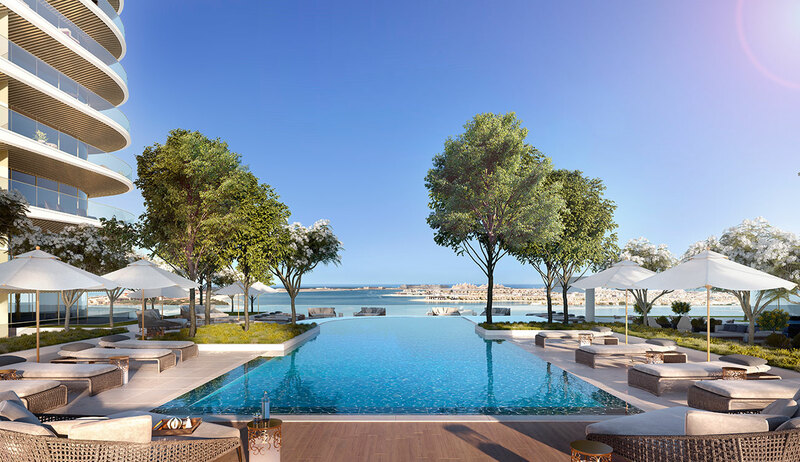 Breathtaking views and flawlessly crafted designs are combined to create a luxurious oasis to retire to every day. 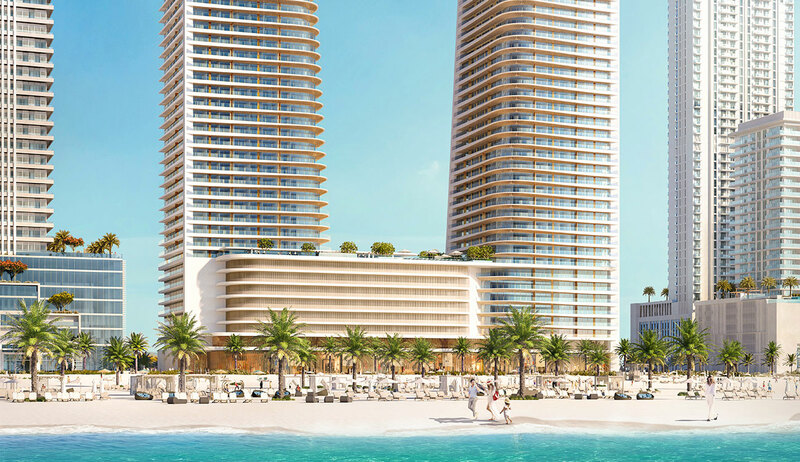 The architecture evokes Miami’s Art Deco District, a slice of South Beach constructed in the 1930s and admired for its graphic lines, glittering accents, and a lifestyle of absolute indulgence.